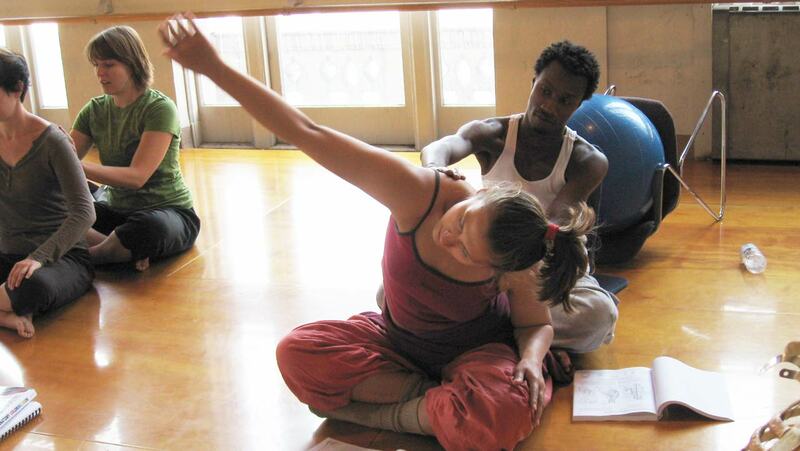 Moving on Center (MOC) is a training program linking Somatics and the Performing Arts for Social Change. Using experiential and co-operative learning, MOC has a mission to develop community leaders and artists who engage the whole body-mind to promote holistic social change. 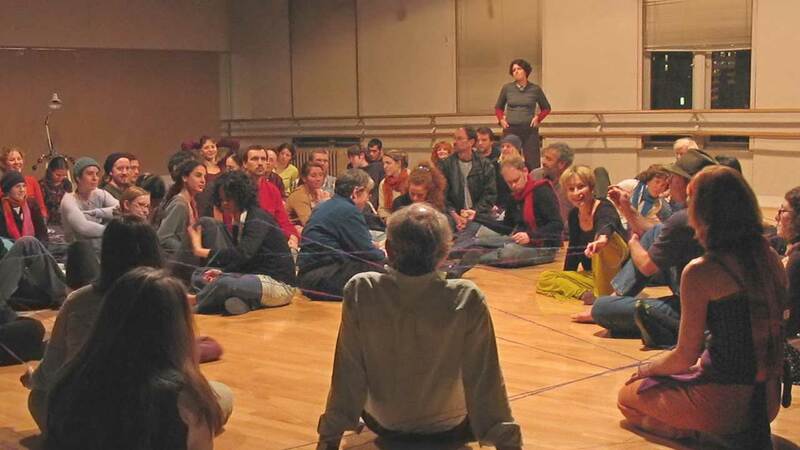 Founded in 1994 by Carol Swann and Martha Eddy, Moving On Center (MOC) the School for Participatory Arts & Somatic Research has been a pioneer in the field of holistic and interdisciplinary education. 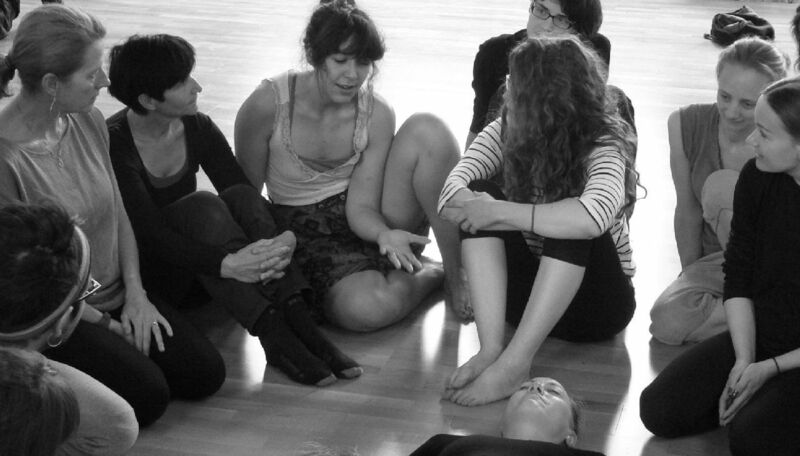 MOC’s training programs integrate multiple somatic systems with performing and healing arts toward social change. We offer a unique opportunity to integrate the desire for personal growth with the development of meaningful professional skills applicable to fields such as performing arts, education, health and social change. We aim to provide tools for individuals, groups and entire communities to become aware of our own interconnectedness, to each other and the planet through somatic perception and to assess, interrupt, and transform harmful personal and social patterns. Moving On Center dynamic and rigorous movement based training modules are based on and integrate various somatic modalities such as Body Mind Centering (R), Laban Movement Analysis, Bartennieff Fundamentals (TM), Alexander Technique, Axis Syllabus, Authentic Movement, Voice Through The Body, Developmental Movement and others. 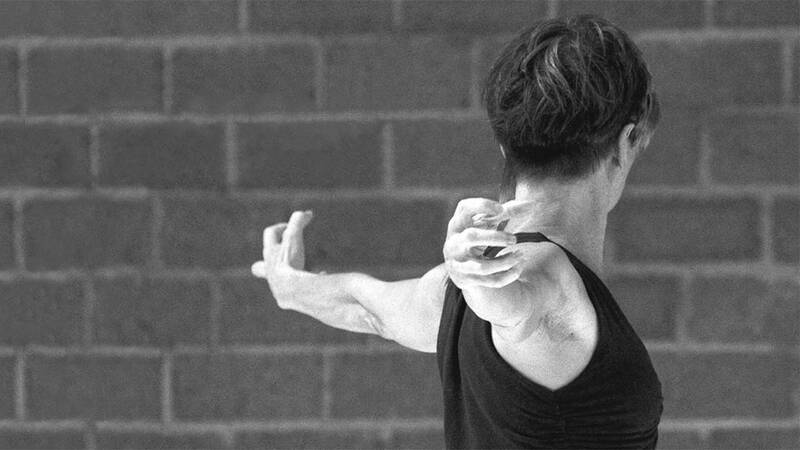 These methods give you specific skills to develop your body connectivity, re-pattern habitual alignment and movement patterns, increase your kinesthetic awareness through embodied anatomy and learn skills for greater communication within oneself and with others.